Variety reports the sale of the Weinstein Company has hit a big speedbump. An unnamed investor group, led by one Maria Contreras-Sweet, has been in talks to acquire the embattled production company for $500 million, including assuming $225 million in debt. The sale was prompted by the flood of sexual assault and harassment allegations against Harvey Weinstein, who could end up facing charges after the LAPD forwarded three abuse cases to the Los Angeles County district attorney. 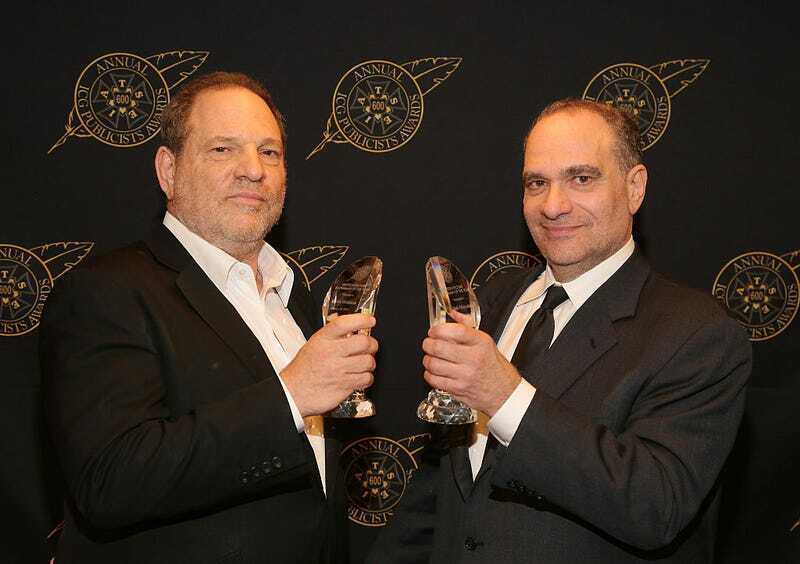 Last October, his brother and TWC co-founder Bob Weinstein, who has also been accused of sexual harassment, denied that the company was under water, but has since fielded offers from investment groups. Now it looks like the latest bid could fall through, as New York attorney general Eric Schneiderman has filed a lawsuit against the Weinstein Company over civil rights abuses. Given that Harvey Weinstein’s contract might have allowed for such abuses, the NY attorney general’s office now seeks “strict oversight of the company’s employment practices.” This has given the potential new buyers pause, with Contreras-Sweet saying she was “‘stunned’ at the prospect of the attorney general putting up hurdles to implementing her vision of a largely female-led studio, out of the ashes of a company that has become synonymous with Hollywood’s culture of abuse and silencing victims.” Ultimately, Schneiderman’s suit can’t really block the sale, but Variety notes that if TWC goes into bankruptcy, that would prevent survivors from receiving any compensation from the company. The Contreras-Sweet group planned to allocate money for restitution in those cases, but even this “fund” might not actually pass muster.